The Green Apple Day of Service, which will take place on Saturday, September 26, gives parents, teachers, students, companies and local organizations the opportunity to transform schools into healthy, safe and productive learning environments through local service projects. Be sure to check out project ideas, pick up helpful event resources, read about last year's impact, find an event in your area, and register your 2015 project today! 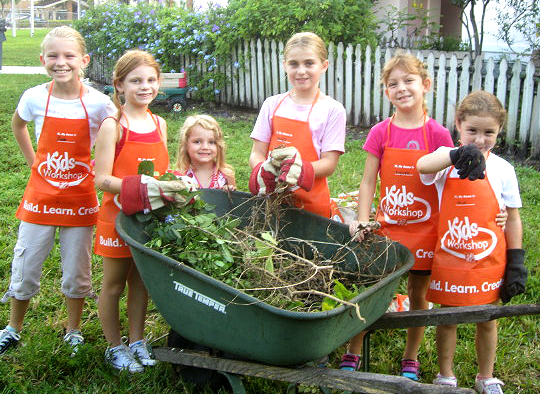 In 2013, the volunteers with the USGBC South Florida Chapter gave great support and energy to this cause. We are proud of our Branches and our Emerging Professionals, whose volunteer captains championed events throughout South Florida, from the Keys up through the Treasure Coast. Plans are coming together for our Chapter's 2015 Green Apple Day of Service projects. Is your office or community interesting in joining us? Let's have a chat -- contact Lee Cooke or Elena Gibson. The links provided below are shown for reference only. The USGBC South Florida Chapter is not responsible nor can be held liable for any linked content, claims or representations within the websites listed.